Tonna Heath & Company, LLC. Exceptional People - Exceptional Properties - Exceptional Results! "Tonna is an incredible realtor! She always keeps her client's best interests at the focus of her work. Last year, we approached Tonna to represent us in the selling of our home. We had initially met her at an open house she was selling in our neighborhood and were highly impressed with her professionalism and knowledge base. She is an experienced realtor, detail oriented with professional marketing expertise. It is clearly evident that she has a great understanding of market pricing and dynamics during the sale of our home in Green Hills last year. She provided extra time and attention to our needs since we were living out of state and had requirements. Recently, we returned to Nashville and she helped us purchase our new home. We have been very pleased with her effective negotiating skills and understanding of the market. We feel she assisted us in purchasing our new home for the best possible price. Tonna is highly professional, knowledgeable and an excellent communicator. We are extremely pleased that we worked with Tonna and highly recommend her services. It has been our pleasure working together and look forward to contacting Tonna for future realtor transactions." –Ramona & Michael B. "Tonna Heath has sold two of my homes. One was "impossible" to sell. The neighborhood had new construction and a so many houses were for sale on my block that everyone told me to forget about it. I think Tonna thought that too, but she went to work...and viola...within a week it was sold. She helped me find a new home...and sold that home for me for close to $100,000 profit after one year in the home. I don't know how she does it. Actually, I do know. She works 24/7 on every home and it pays off! I highly recommend Tonna to anyone looking to buy or sell a home. This is an unsolicited recommendation :)" –Katherine B. "Assisted our purchase of a house here in Franklin. She taught us to think strategically, then she successfully closed. We are now in a new Jones company home." –Rick L.
"Tonna works tirelessly for her clients. She is detail oriented and extremely knowledgeable. 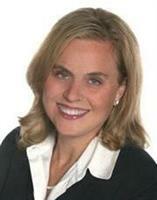 She values her clients and you can trust her to handle the most delicate real estate transactions." –Sharon B. "As a realtor in the greater Princeton New Jersey area; sheer luck and I mean luck connected Tonna and my family. My son and his future wife were making a move to Nashville. 2005 was still was a marvelous year for real estate. Tonna communicated with me and toured my son and his now wife. She took extra photos of the homes so that we in New Jersey could understand the scope of the properties. Tonna, with her wealth of real estate and building knowledge, attended the home inspection and guided all of us to a great area in Nashville (Green Hills Mall area). The "kids" are now moving on and are building a new home in Nashville and Tonna is their Realtor. I know we can look to Tonna when we put the Green Hills home on the market for her professionalism, integrity, guidance and friendly spirit." –Judi M.
Are you thinking of buying a home in the Nashville, TN area? Finding the right home can be a difficult process but no matter what you are looking for as an experienced Nashville, TN real estate agent I can provide you with the resources you need to make the home buying process simpler, from specific Nashville, TN neighborhood information, to tools to estimate your mortgage payments, and buyer resources and articles that will help you through the home buying process. Nashville, TN is an ideal place for country music lovers to live. Country music stars perform at the Grand Ole Opry. Exhibits at the Country Music Hall of Fame focus on the history of country music. The different neighborhoods in Nashville will suit people with a variety of tastes. Green Hills is a relatively affluent area south of downtown. There are a number of apartments in the Vanderbilt University neighborhood. People who want to live in historic homes may be interested in houses in the Old Hickory area. Nashville has more than 100 public schools. There are approximately 75 elementary schools, approximately 45 middle schools and 24 high schools. The city has also has a number of private schools. Those who want to go to college in Nashville will find 21 institutions of higher learning in the city. The three largest employers in Nashville are the State of Tennessee, Metropolitan Nashville-Davidson County and Vanderbilt University. Thinking about selling real estate in the Nashville, TN area? No matter which market you're in, you can use the marketing programs and experience of a qualified Nashville, TN real estate agent like me to help sell your home quickly and at the right price. Learn more about my service, see information about recent home sales in Nashville, TN, or contact me to get started today! Crockett Park is one of Brentwood's attractions. Crockett Park covers more than 164 acres. It has a playground, ball fields, tennis courts and walking trails. The city has several other parks and a system of trails. Some of Brentwood's spacious homes are in the Governors Club gated community. Homes in the Brentwood Country Club subdivision are on the grounds of a golf course. Brentwood has seven public elementary schools. There are three public middle schools and two public high schools in the city. Brentwood students can also attend private schools in the city. Nashville's colleges and universities are only a short drive from Brentwood. Brentwood's largest employers include Comdata and AT&T. Comdata provides fleet cards and fuel management services to companies. Franklin's attractions include its parks. The city has 16 parks. Amenities at the parks may include playgrounds, walking trails and ball fields. The Cool Springs Galleria is another attraction in Franklin. The Cool Springs Galleria has more than 200 stores. Several restaurants are located in this mall. Many homes in Franklin are near parks. There are 100 acres of parks and woods in the Franklin Green neighborhood. The park in the Ladd Park neighborhood covers 150 acres. This neighborhood also has paved walking trails, a pool and clubhouse. Franklin's public schools include eight elementary schools, three middle schools and four high schools. There are several private schools in Franklin. Franklin has a community college. Some of Nashville's colleges and universities are less than 30 miles from Franklin. Are you interested in more Nashville, TN area details? Please take a minute and browse my local neighborhood and school details, real estate mortgage information and interactive maps for the Nashville, TN market. Thank you for visiting www.tonnaheath.com! This is a one-stop real estate website for all your home buying and selling needs in Nashville, TN. I’m a professional real estate agent who will help make your search for a new home an enjoyable experience. Please feel free to contact me directly if you have any questions about the Nashville, TN real estate market, or buying or selling a home in Nashville, TN.